Through all of the stellar metal releases and gems in our lifetime, we’re quite familiar with the albums typically seen as legendary. 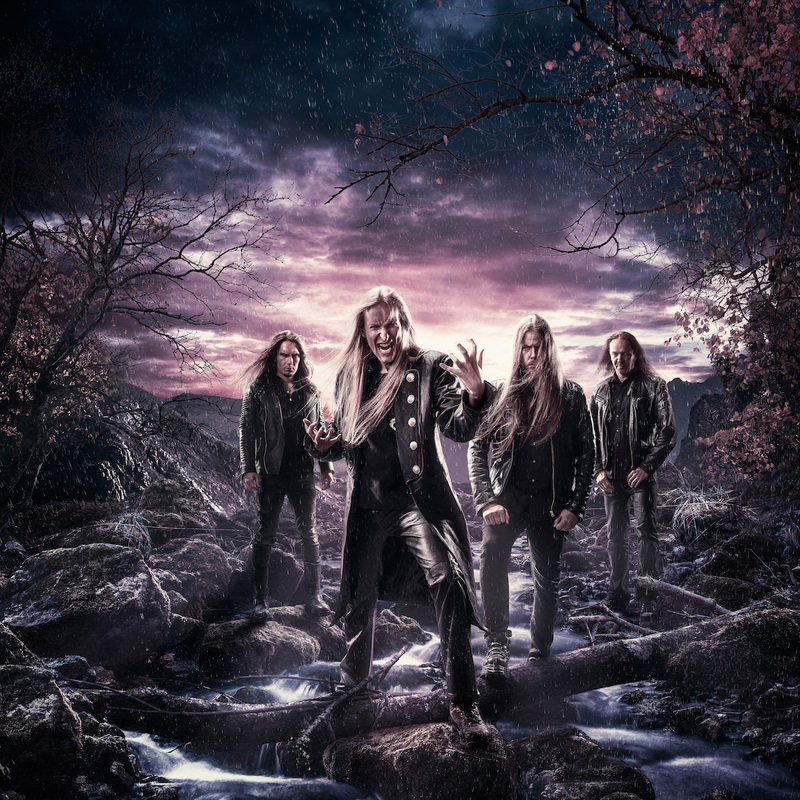 But in 2004, mastermind, founder, musician extraordinaire Jari Maenpaa created Wintersun, releasing the self-titled album to glorious acclaim, bringing forth a monumental mix of elite extreme symphonic folk metal to our ears, something that many weren’t not ready for, but grew into an extremely popular album shortly after. The next album ‘Time I’ came 8 years later. It carried much more of a layered, symphonic structure that seemed to throw many Wintersun fans off, although it was still met positively overall. The new record ‘The Forest Seasons’ is now ready for release. Was it going to be much like the first album, or more along the lines of ‘Time I’? 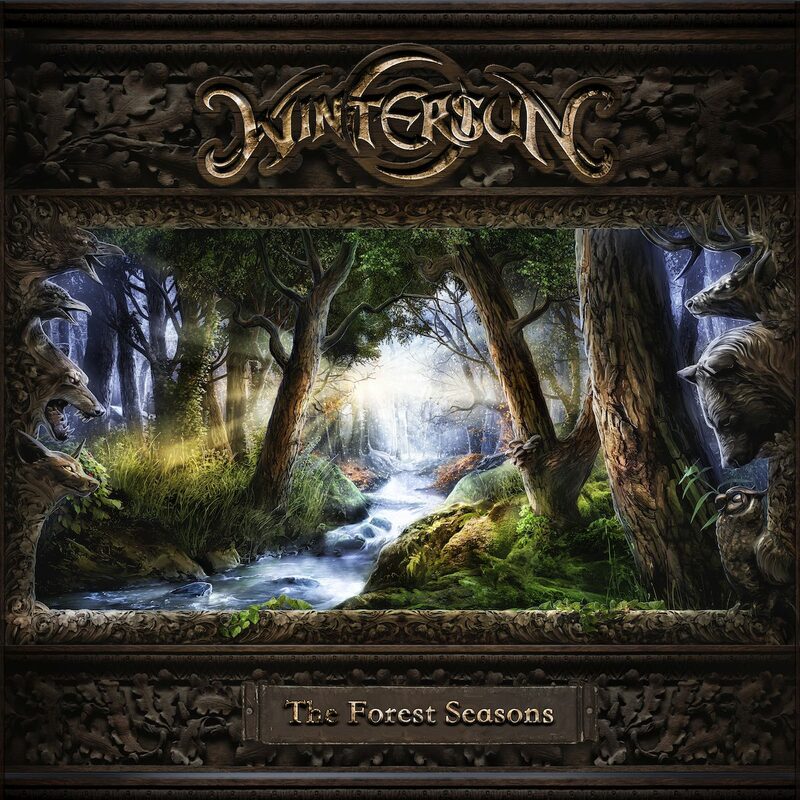 ‘The Forest Seasons’ takes us through various assortments of musical arrangements and emotions, the quality of Wintersun has not dissipated. With only 4 tracks on the album, but all of them clocking in at 12 to 14 minutes each, bringing the album to 54 minutes, the amount of detail and listening concentration needed for it is at an all-time high. And it starts with the first song, ‘Awaken from the Dark Slumber (Spring)’. Each song, lyrically speaking, represents the four seasons in order of the calendar year. The keyboard work, also done by Jari himself, has improved dramatically on each record. After a minute of delicate calmness on this opening track, the distortion kicks in, complementing the keys in the background. This continues for a short period of time, before Jari’s vocals arrive in a furious and gritting way. The lyrics are sung crystal clear, and the vibrant, powerful growls exhibited by Jari are easily the greatest parts of this record. Dating back to the first album, his vocal work has not only improved, but to a substantial degree. It is just amazing that after so many years the vocal quality continues to rise to these levels. Roughly 7:35 minutes into the song, a little half way in, a little guitar galloping riff catches your ear, with the keyboard work as a solid counterpoint. About 11 minutes in, Jari’s fellow guitar mate, Teemu Mantysaari, who is widely respected playing-wise, equal to if not slightly even more than Jari himself, delivers a bright lead section that after a couple listens, you’ll be humming to yourself out loud. A solid first track to start off. Although many fans would hear this first song, the mid-paced tempo of the tracks and higher usage of chord structures, specially in comparison to the self-titled record, might throw off the listeners initially. That first record, although the riffage was definitely more lead based, and with a bite that crunched aggresively even with that attention to melody, ‘Time I’ was the opposite. The sound was almost too glossy, with several guitars tracked together, feeling less organic. ‘The Forest Seasons’ is the middle ground. But the key here, 13 years since that debut record, not to mention much of the songs were made well before then too, is that musicians grow over time and want to attempt to play to what they’re feeling now, not exactly what they did then. ‘The Forest that Weeps (Summer)’ comes next. 4:55 into the song comes Jari’s first clean singing on the record and is capable of giving listeners chilling goosebumps. Jari’s ability to capture the provoking sense of your musical heart has been dazzling since Day One. There’s wonderful native instrumentation through the keyboard shortly after, glistening the atmosphere around you, taking you to that same weeping forest. But for only a short moment, with the guitars maddening into the mix for an immense surprise, you’ll be nodding your head in approval 7:14 into the song where it starts, and it is absolutely one of the best moments on this record. Sounding as if you’re in a large mountain hall witnessing the vikings chant in unison, the singing continues to magically hone the listener to a realm of fantasy and beauty for the rest of the song. A minor gripe to speak of, Jukka’s finely played bass work is almost inaudible, and the joke for many years in metal, being that bass isn’t supposed to be heard, is nonsensical and ridiculous. So many bass players are reaching higher fame, and in many cases outshining the rest of the band in ability and musicianship. Under-appreciated and underrated, the bass guitar needs to be much more prominent in the mix, and it is disappointing that’s not the case on this album. Now at the halfway point, ‘Eternal Darkness (Autumn)’ hits the listener with the first blast beat of the record, but the keyboard has a much more haunting and ghastly feel. Longtime drummer since the first record and of famed grindcore band Rotten Sound, Kai Haito’s meat-and-potatoes yet truly effective drumming comes to the forefront in this intense part of the record. 6:23 into it, a swaying melody occurs, the calm after the previous storm, Jari speaking in a frosty tone, setting the listener into a false sense of security, as it takes turns from that vocal style to the angering vocal work. A couple of minutes pass, and then there’s definitely one of the most fascinating and appreciated aspects of Wintersun, the very first guitar solo on ‘The Forest Seasons’. Many bands take different approaches to soloing, some tasteful, some wankery, mixes in between, or none at all. Thankfully, the gifts and talents Jari himself has on the 6 string axe have always been tasteful, imaginative, complex, and soaring in ability. Last, and certainly not least to many who enjoy the colder, sensual time of the year, ‘Loneliness (Winter)’ caps off the album. Jari’s clean singing about 3:03 into the song, but sung in this lighter, almost acapella style, truly gorgeous. This song, vocally alone, is the highlight of the entire album, allowing the clean vocal work to mature and grow into this glowing tree you can only see in paintings. One of the lasting riffs, 7:56 in, presents this noble, energetic and soothing melody, setting the path to a gorgeous lead shortly after. The rest of the song continues in the same vein, and Jari’s lovely sung lyric, “Washed away by the morning sun!” The manner in which the vocals are sung on this album is sure to put a smile on fans’ faces as they realize that after all of these years the band that started off as Wintersun has evolved into something even greater and more unique, and nothing less than visionary. ‘The Forest Seasons’ gets stronger with every listen, and actually helps you understand even further that if you want the most out of a band you truly admire and appreciate, you have to be open to the direction they wish to expand to, as long as of course, they’re staying honest and truthful to themselves. Wintersun has done that soaring with flying colors.